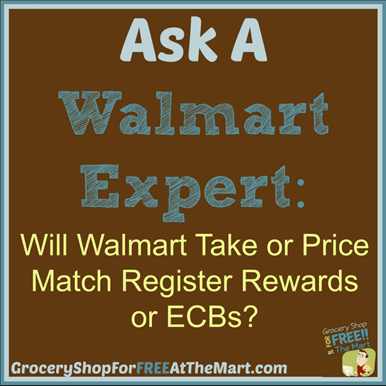 Ask a Walmart Expert: Will Walmart Take or Price Match Register Rewards or ECBs? Will Walmart Take RR’s or ECB’s? If you don’t know what this question is referring to, Walgreen’s and CVS both have rewards programs where you can get money back on future purchases when you buy certain products. Here’s an example. That red arrow is pointing to the 3000 rewards points you would get if you bought this from Walgreens. These are good at Walgreen’s only and cannot be used at Walmart. Can you Price Match the RR or ECB Price? This is usually the next question that comes up. 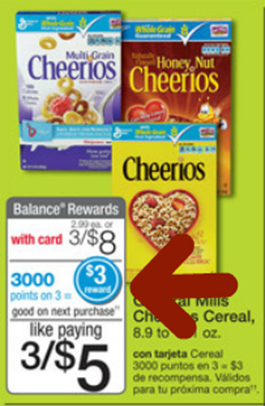 In the example above, you’ve got a final price listed of 3/$5 so it looks like you should be able to price match this cereal at Walmart to $1.66 a box. Unfortunately, it doesn’t work that way. Here’s the wording from Walmart’s policy. 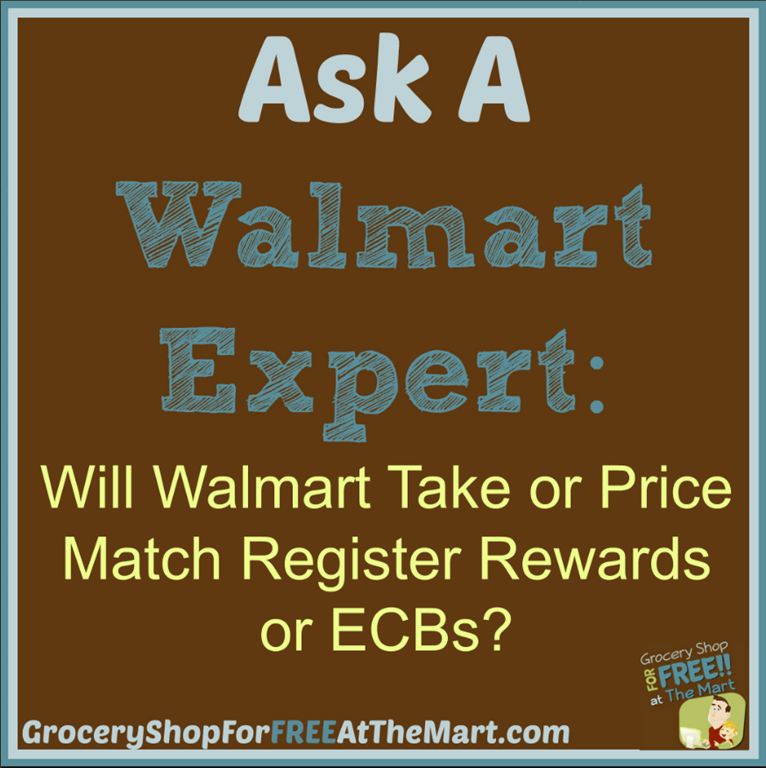 These RRs and ECBs are essentially giftcards meant to be used on your next transaction so Walmart will not allow you to price match that after-RR price. DISCLAIMER: Every time I write something like this I am inundated with cries of “They do it at my Walmart!” All I can tell you is what the policy says. If you’ve got a store manager that allows it, awesome. Enjoy your good fortune. Just know that it it’s not policy and could stop anytime someone actually sits down and reads Walmart’s policies. family dollars has 4 different types of shampoo in there weekly ad for 1.00 clarence. will walmart match this ad.